It’s of the utmost importance for a new board member to understand the financials and the operational components of his or her association. First, he has to learn how the monthly financial report is prepared by the management company and understand the flow of the information. Meet with the property manager and understand how income line items are classified and how expenses are coded throughout the report. Know what the budget allocations are annually for each line item before approving expenses. Make sure that large variances are accounted for and explanations of the costs are given to you regularly by your management firm. On the operations side, it’s important to understand the nuances of the property’s operation. We recommend an annual walk-through where one can learn about the operations of the various property systems and components. When there are discussions about maintenance, repairs, or replacements, the new board member will understand the property’s operations and be able to contribute to the decision-making process in a productive manner. For more information on AKAM On-Site, please contact Regan Marock by phone at (954) 843-2526, via email at rmarock@akam.com, or by simply visiting our website at akam.com. I bet you are wondering what you got yourself into, but either way, you’re here, and we’re here to help you! Remember that the best way to eat a shark is one bite at a time! When reviewing your roadways for the upcoming year, make sure your budgets reflect the true reserve amounts for your asphalt maintenance and replacement needs and the proper time frame allotted for your asphalt maintenance program. Too many times when we are asked to review a community’s budget, we find they have not updated pricing from the original reserve cost and that they only have reserves set aside to complete a portion of the work needed in today’s market. Staying on top of the current market and allowing for the proper savings is the best way to keep your roadways in prime condition and your budget in the black. Literally! We hope your 2019 season rocks! 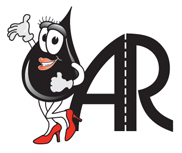 For help with your asphalt maintenance needs, please contact Asphalt Restoration Technology Systems at (800) 254-4732 or email us at info@asphaltnews.com. If you’re a new member of the board or a returning member, congratulations, or some might say, condolences. Based on 30 years of experience dealing with condominium and HOA boards, we would like to offer a few suggestions. First of all, take your ego and put it in a bag and place it on the shelf before you go to the meeting. Put in one pocket all the patience you can get in and in the other, a good dose of compromise. Both will be required during your tenure on the board. Get involved with issues that you are comfortable with and pick your battles, as there will be many. Most board members will not be familiar with all the topics that come before them. Do not ever be afraid to request outside help when nobody on the board has the expertise to make the appropriate decisions. For more information on Ed Williams Registered Roof Consultants, call (772) 335-5832, email ed@edwilliamsregisteredroofconsultant.com, or visit www.edwilliamsregisteredroofconsultant.com. How Does This Security System Work? Are multiple security companies servicing the community? While it is ideal to have a unified system, that is not always the case. You will want to know which companies are providing each system (visitor verification, pool access, video surveillance, etc.). Does the security provider(s) maintain and repair broken equipment? Check to see if a service and maintenance plan is in place. Does service include repairing gates at a gated community? Even with a security system installed at the entrance, a gate company may be used to repair the gates when broken. Knowing who to contact will help in the future. The recipe for success of seasonal flower installations begins with the proper preparation of the flower bed. Tilling of the existing compacted soil and adding a fresh loamy mix of peat, perlite, and compost are a great start to a sensational flower display. After coordinating color combinations, selecting the right plant for the right place is the next step. Temperature, light, salt tolerance, insects, and disease pressure are all considerations in selection. The proper light exposure based on the plant’s light requirements can make or break a flower display. Knowledge of plant size at maturity helps with correct spacing and alignment. Fertilizer, fungicide, and insecticide are also critical to ensuring new flowers get off to a good start. Weekly maintenance such as deadheading is vital to maintaining a vigorous display while our seasonal visitors are here to enjoy them. Finally, have a cold protection plan in place in case of some frosty weather. For more information on Florida Evergreen Landscape & Lawn Care, visit www.floridaevergreen.com. Make sure that the contractor being considered is focused exclusively on and is appropriately equipped and experienced to perform humane bat exclusions— there are plenty of “jacks of all trades” out there whose primary focus is elsewhere, and who may not have the problem-specific knowledge to succeed in this work. Check references and BBB ratings. Ensure that the contractor uses only materials that are durable and that will not compromise either the aesthetic appearance of the building or its structural integrity. For example, we often see interior-rated expanding foam, which is either bright orange or yellow in appearance, burgeoning out from openings in buildings. And of course—it goes without saying—the contractor should be able to meet the customer’s general liability and workers’ compensation insurance requirements. John Greenwood is the Technical Consultant of Friends of Bats. For more information, call (888) 758-BATS (2287), visit www.friendsofbats.com or email john@friendsofbats.com. The Articles of Incorporation identify the essential elements of the association and must be filed with the Secretary of State upon incorporation. The Articles lay out the identifying features of an association, such as the association’s name and business address, purpose, duration, and the names and addresses of the initial directors. The Bylaws of the association provide the procedures for how the association is internally governed. The Bylaws outline detailed information about how meetings are called, how frequently meetings occur, how officers and directors are elected, and proxy and quorum requirements. The Covenants, Conditions, and Restrictions, also called the Declaration, is the supreme governing document for the association. The Declaration subjects parcels of land to the control of the association and lays out the association’s and owners’ respective rights and responsibilities. When there are conflicting provisions in the governing documents, the Declaration trumps all other documents. For more information on Henderson, Franklin, Starnes & Holt, call (239) 344-1164, email kaylee.tuck@henlaw.com, or visit www.henlaw.com. Disaster can strike at any time, and it’s never too early to reassess the emergency preparedness and disaster relief strategies for your residents. According to WCTV, there are 209 fires in Florida homes every day, usually starting in the kitchen. As a member of the board, keeping residents educated and ensuring that your fire prevention strategy is up to date are key. Educate the residents to follow some simple tips, such as checking that smoke alarms are on every floor and in each bedroom and making sure monthly that they are in working order and free of dust. Also, the association can post reminders to change out smoke alarm batteries once a year. The community should have an escape route for residents and their pets to reduce panic in the event of a real fire. Keep hallways and stairs free from clutter, and be sure to keep all insurance policies up to date. Once an emergency plan is put in place, keep your residents up to date on the procedures twice a year. For more information on Leland Management, call (888) 465-0346, email info@LelandManagement.com, or visit www.LelandManagement.com. Most associations incorporate a new resident application and approval process which includes obtaining a criminal background check, credit check, employment verification, and prior rental history of the applicant. Obtaining and interpreting this data is complex and is regulated by federal law. Associations typically collect this data by using paper application forms, which is burdensome and time consuming for the applicant and the property management office. By implementing an online application process, the association can collect and deliver information to the applicant in a secure, legally compliant environment. Applicants can apply at any time and from anywhere. The application can maintain compliance with federally mandated disclosures. Data entry errors are avoided. By utilizing a professional background screening firm which can develop and manage a compliant online application process, the association can relieve itself of the complexities that are associated with resident background screening. For more information on Screening Link Inc., email david@screeninglink.com, call (954) 472-6994, or visit www.screeninglink.com. To enable new board members in Florida community associations to become acquainted with the basics of association governance, Florida Statutes require them to certify that they have fulfilled certain educational requirements within 90 days after the date of their election. This certification may be accomplished by attending an educational course administered by a condominium education provider that has been approved by the Florida Department of Business & Professional Regulation, such as the board member certification seminars that are offered by our firm on a regular basis. New board members should also know that they have access to many excellent online resources that are devoted to providing vital information for associations. 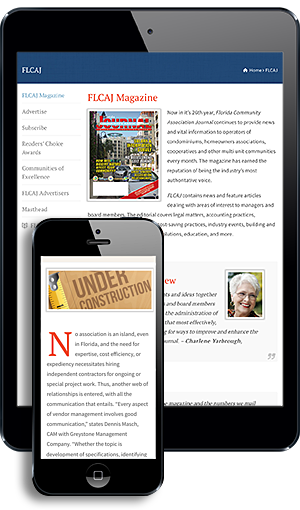 For example, the online archives of the Florida Community Association Journal and The Community Associations Institute, which is the largest organization representing community associations in the world, both offer a great number of helpful articles and guides on association governance. Association directors serve a critical role in the administration of communities with associations, and as such it is important that they make ample use of the educational resources that are available to help them succeed. For more information on Siegfried, Rivera, Hyman, Lerner, De La Torre, Mars & Sobel P.A., visit www.srhl-law.com or www.FloridaHOALawyerBlog.com or call (305) 442-3334.